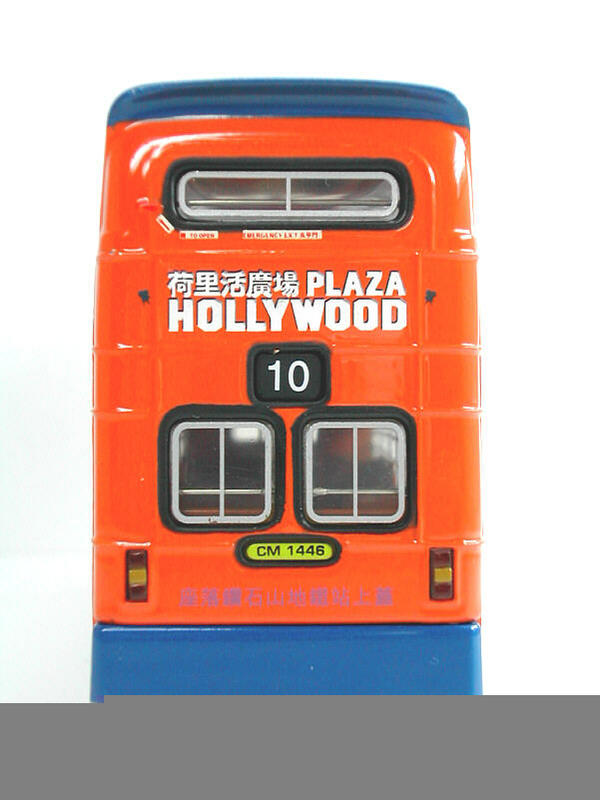 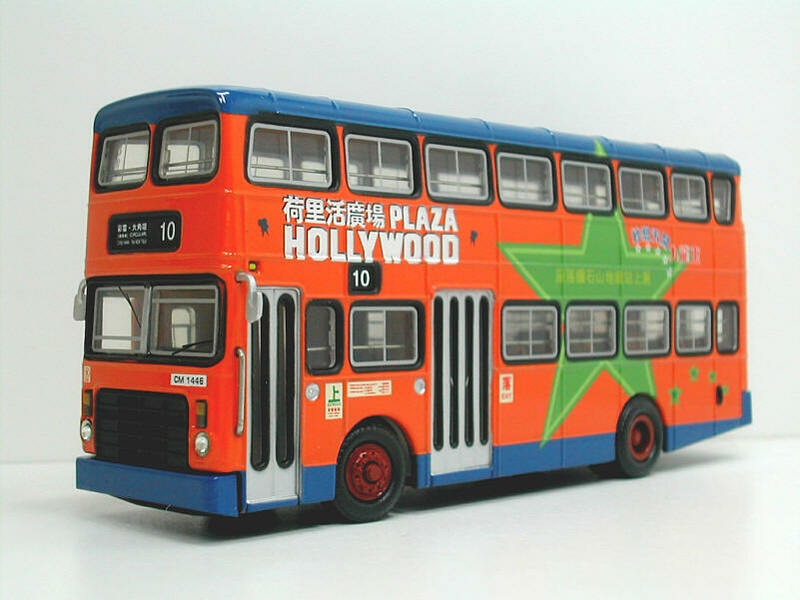 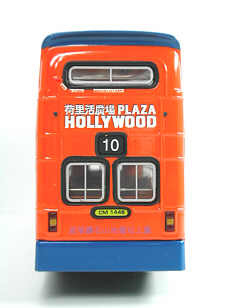 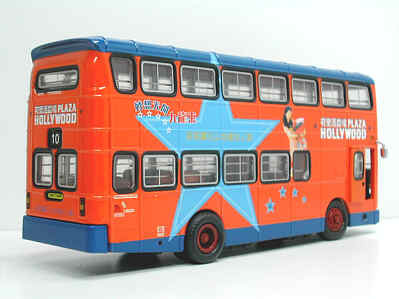 The model - This Jubilant, carrying Plaza Hollywood advertising, is included in the "Coming Soon" section of the Collector's Model January - June 2000 Catalogue. 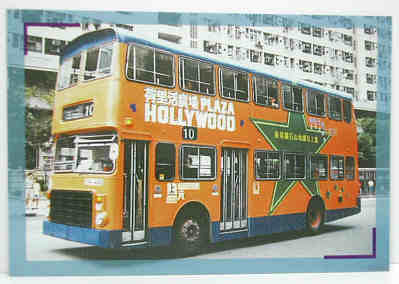 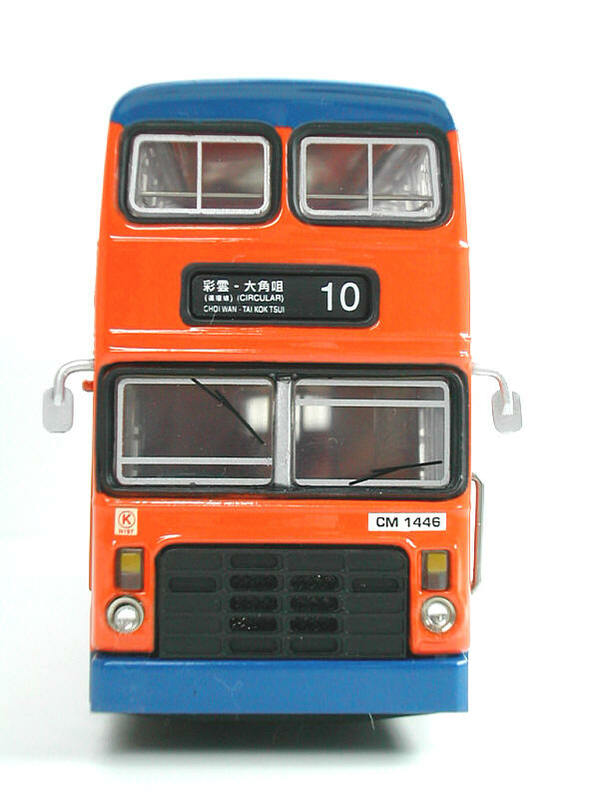 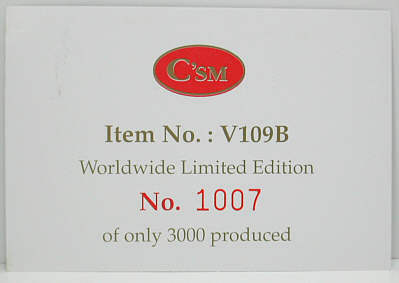 The model was actually released, in Hong Kong, on 17th June 2000. 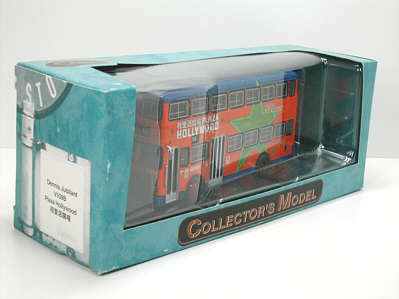 The bus - After successful trials with 4 prototype Dennis Jubilants, KMB placed orders for a further 360 examples, these being delivered between May 1979 and May 1982. 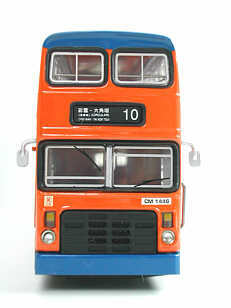 The first batches carried bodywork by Walter Alexander, whilst the final batch of 150 were bodied by Duple/Metsec, in the form of ckd kits.